Caitlin Lynch has been described as a performer for whom ìthe term gifted hardly does justiceî (The Oregonian). An avid soloist, chamber, and orchestral musician, Caitlin has performed in fourteen countries on five continents. She has appeared as soloist with numerous orchestras, whose tours have featured her concerti performances across North America and Europe. 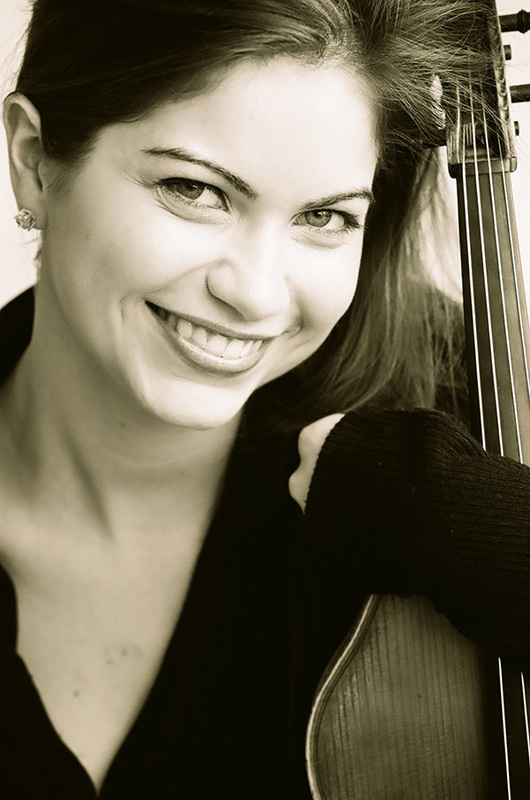 As a chamber musician, she performs as the violist of the New York-based Fidelio String Quartet. Additionally, Caitlin has had the honor of performing chamber music with Itzhak Perlman, members of the Tokyo, Cleveland, Juilliard, and Cavani String Quartets, the Weilerstein Trio, and ACME. She has held principal positions in the Charlotte Symphony and CityMusic Cleveland Chamber Orchestra, in performances from Carnegie Hall to international tours. She has also performed with the Cleveland Orchestra, A Far Cry, Richmond Symphony, Virginia Symphony Orchestra, and New World Symphony. As an educator, she is the Chamber Music Teaching Assistant at the Perlman Music Program Summer Music School, has taught in the public schools of Harlem as a Morse Fellow at The Juilliard School, traveled to South America to teach master classes and orchestral sectionals for Ecuadorís Sinfonia por la Vida, taught students with Williamsí Syndrome at the Berkshire Hills Music Academy, was part of the Cleveland Chamber Music Societyís Educational Outreach Quartet, and completed a Visiting Artist teaching and performance residency at The College of William and Mary. Caitlin is a graduate of the Cleveland Institute of Music and The Juilliard School.